Marita Littauer provides practical advice and real-life stories that give all Christians the confidence to approach and worship God in their own way. Florence Littauer has taught leadership seminars for more than twenty-five years and is the president of CLASS Speakers, Inc. She and her husband, Fred, travel internationally conducting seminars and retreats. Littauer lives in Cathedral City, California. What Is My Spiritual Personality? 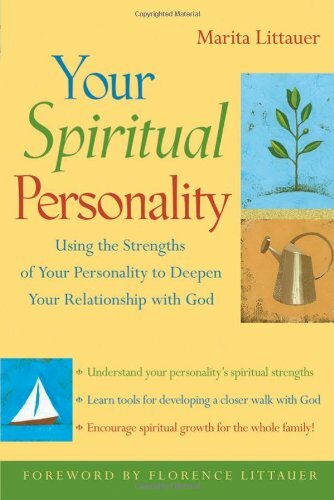 How Does My Spiritual Personality Affect My Spiritual Life?